When Stainless Steel Sinks start looking a bit dingy, they can be made to look as good as new with eco-friendly materials that are found in most kitchens. Besides being kind to the environment, these quick-cleaning materials involve no scrubbing at all and cost next-to-nothing to make. What are the benefits of cleaning a sink with natural materials? • Money-saving – natural cleaning products are most times significantly cheaper than store-bought products. Although commercial products are reasonably cheap to manufacture, it is their branding and expensive packaging that pushes their prices up. • Non-toxic — it is impossible for certain chemicals in commercial cleaning products to be broken down at water treatment plants before they are released into watercourses. This results in these chemicals ending up in rivers, streams and the ocean where their effect on sea life is devastating, very often resulting in many creatures dying and their habitats becoming dangerous to them. • Safer — the bottom line is that natural products are way safer than those purchased from supermarkets. Besides irritating the skin, the fumes that some chemicals give off can also cause dangerous respiratory issues. Also, commercial, chemical-laden cleaning products can be deadly if swallowed by small children in a family. 1. Remove all dishes and bits of food from the drain and then give your sink a quick wash and rinse. Sprinkle baking soda all over the sink. With the sponge and working in circular movements, rub the entire sink to get rid of marks and stains. The great thing about baking soda is that it cleans beautifully, without scratching the stainless steel at all. 2. Use the vinegar to rinse the sink. It will bubble and fizz as soon as it comes into contact with the baking soda. Apart from helping to remove hard water stains, vinegar contains properties that will disinfect your sink naturally. Rinse by giving a gentle rub with the sponge and clean water. 3. Next, take the orange or lemon peel, the skin of the peel against the steel and give the entire sink a good rub down. Besides keeping the surface shiny, the peel also helps to deodorize your sink. 4. Finish off by using paper towel and a dab of olive oil to buff the surface of your entire sink. This will help it to remain sparkling clean and fresh for weeks before you need to do another clean. 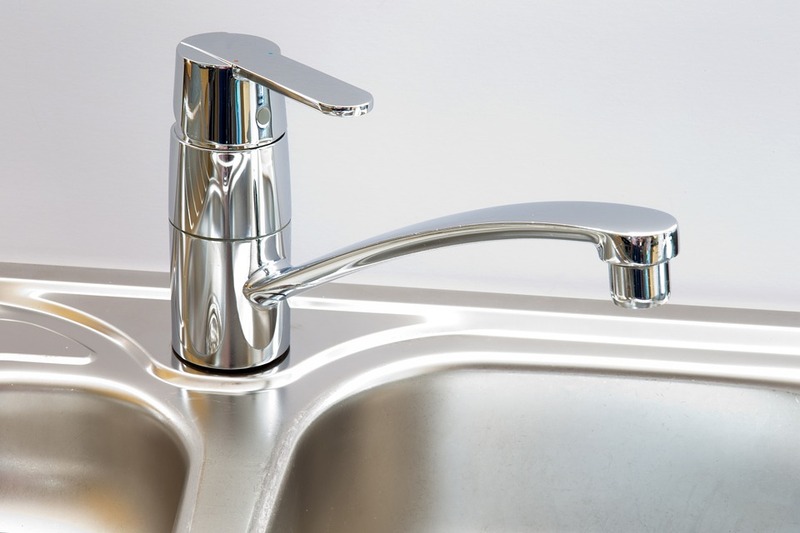 To complete the cleaning job and keep your sink smelling fresh, drop a garbage disposal refreshing bomb down the drain.